One of the oft-heard put-downs of the Old South was its lack of education, by which is usually meant free public education, which was well-established in New England and the Mid-Atlantic states by 1860 but had barely dented the South. Thus, it is said that the South was uneducated. Yet literacy among white Southerners before the war was more than 80 percent, slightly below that of Northerners but better than the rate in Britain or any European country except Sweden and Denmark. But this was a Massachusetts affair, and New York, Pennsylvania, and New Jersey tended to let parochial schools and private classical academies handle whatever education was wanted, while the Southern colonies relied on apprenticeships and pauper schools. Writers on early education in America tend to break it down into three regional solutions, not a straight North-South split. In the early 19th century, Massachusetts educators began the push to make free schools an American institution. The battle over tax-supported, publicly controlled, non-sectarian schools was waged between 1825 and 1850, and it was second only to the slavery debate in intensity and bitterness. 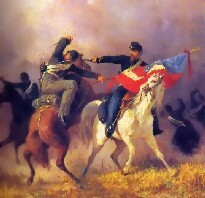 The public school advocates waged their fight state by state, and they had a bitter battle in every one of them, usually settling for local option compromises (as in New York 1849-50; Pennsylvania 1834). Public schools were not truly free to all and "universal" until 1867 in New York, 1871 in Connecticut, Rhode Island, Michigan, and New Jersey; and 1873 in Pennsylvania. Pennsylvania was a typical case. Intellectuals and the working class generally supported the idea, along with people in the northern tier of the state who had roots in New England. But they were far outnumbered by the opponents, including the wealthy, who resented being taxed to pay for the education of the children of the poor; church people, who feared secular education; and the Pennsylvania Dutch, who fretted that public schools would erase their linguistic and cultural identity. The move for free schools was hampered in these states by the fact that the first ones set up were, frankly, not very good when compared to the old subscription schools. The editor of the leading newspaper in one town that had tried the free schools in the 1830s and rejected them wrote, "Many of our citizens imagine that the character of the schools deteriorate under the public school system -- the cognizance of the Directors being less efficient in holding teachers to a rigid accountability than when they are brought into direct connection with the parents. We do not believe the school system will be efficient until the directors receive a pecuniary compensation for their labors and teachers are better rewarded." And "free" hardly meant "universal." Attendance at these schools was not required. In Pennsylvania, right up until the few years before the Civil War, the children of the poor generally continued to stay home and work, while the children of the rich continued to attend private academies. Northern workers also probably found it hard to appreciate the virtues of free education when millions of their children were at work at dawn on the looms and carding machines of the textile factories by the age of 7 or 8. Children of poor factory workers may have theoretically had access to the common schools, but the children of blacks usually were shunted off to barely functioning backroom schools. The Irish immigrants whenever possible sent their children to parochial schools rather than to the free public ones, where the daily Bible lesson was from the (Protestant) King James Version, rather than the Douay translation. This was the spark that ignited the deadly Kensington riots in Philadelphia in 1844. Yet the free school system was slowly making its way from being a Massachusetts institution to being a national one. It was advancing out of New England and heading south and west. 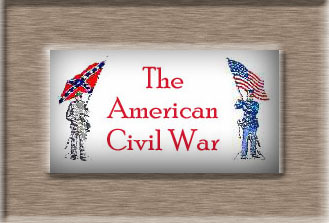 That it happened to have made few inroads into the Southern states at the time the war began does not mean it would not have ever done so, and the fact that the inroads it had made there were strongest in Maryland and Virginia suggest that the movement was heading that way. Certainly the Northern conquest didn't help matters for Southern education. Fifteen years after the war ended, white literacy showed no noticeable gain and 70 percent of Southern blacks still could not read. The slowness of the South to adopt free public schools after the war can be laid in part to the massive disruption wrought by the war itself as much as to any inborn feature in Southern culture. A common argument among abolitionists, North and South, ran something like this: "Southern whites were corrupted and made lazy by being slave owners." But the logic is flawed. Cause and consequence are connected by a presumption: Slavery is immoral, therefore its effects must be baleful. People once thought the same of masturbation. True, the Southern aristocrats did not devote their hours to productive work. But then neither did the mill owners of Massachusetts. And the Southerner had to organize his plantation as a whole community, while the Northern capitalist at the end of the day simply turned out his girls, locked the gates, and left them to find food and shelter as they could. Yet the plantation-keeping could be delegated, and slave ownership would certainly allow a life of indulgence and ease. But it did not require it. The vigorous careers and astonishing accomplishments of Washington, Jefferson, and Madison (slaveowners all) speak against that assumption of universal laziness. The masterful skill of Confederate generals and cavalry (into which ranks the slaveowning minority was generally drawn) speaks against it being at all widespread. Periclean Athens, with its 172,000 citizens and 115,000 slaves, was hardly moribund. King Alfred's Anglo-Saxons, and the Vikings who founded settlements from Newfoundland to Russia, were hardly effete, decadent peoples. Yet both had slavery in the core of their culture and economy. Spartan slavery was even more comparable to the American model than that of Athens. No one would accuse the Spartans of being a bunch of soft layabouts. Among the Greeks, all that the people had to do, it did itself; it was continuously assembled in the market place. The Greek people lived in a mild climate; it was not at all avaricious; slaves did the work; its chief concern was freedom. Without the same advantages, how can the same rights be preserved? Your harsher climates create more necessities; six months of the year the public places are uninhabitable; your muted tongues cannot make themselves heard in the open air; you care more for your profits than your freedom; and you fear slavery less than you fear poverty. What? Is freedom to be maintained only with the support of slavery? Perhaps. The two extremes meet. Everything outside nature has its disadvantages, civil society more than all the rest. There are some situations so unfortunate that one can preserve one's freedom only at the expense of the freedom of someone else; and the citizen can be perfectly free only if the slave is absolutely a slave. Such was the situation of Sparta. You peoples of the modern world, you have no slaves, but you are slaves yourselves; you pay for their liberty with your own. It is in vain that you boast of this preference; I see more cowardice than humanity in it. I do not mean by all this to suggest that slaves are necessary or that the right of slavery is legitimate, for I have proved the contrary. I simply state the reasons why peoples of the modern world, believing themselves to be free, have representatives, and why peoples of the ancient world did not. The lack of railroad track mileage is another canard against the South. By mid-century, the comparison stood at 112 miles per state in the South and 442 miles per free state. Yet the South in 1860, when it set out to be an independent nation, would have been second in the world in railroad mileage per capita, behind only the North. The South had fewer railroads in part because it had less need of them. One-crop plantations generate less rail freight than more diverse Northern farms. And wide, navigable rivers penetrate deep into the South in almost all regions. In fact, those miles of Northern railroads, the much-vaunted framework of Yankee economic might, tended to be selfish, local, and often useless to all but a few rich men. Railroad schemes in populous areas were got up for investment purposes. Towns fearful of being bypassed by a technology that promised a vague prosperity would rush to subscribe public money to the railroads, and the resulting tracks often zig-zagged across the map, in search of municipal bonds. States joined in as well. From 1850 to 1857, American railroads got 25 million acres of public land for free, and millions in bonds -- loans -- from state legislatures. In Wisconsin in 1856, the LaCrosse and Milwaukee Railroad got 1 million acres for free by distributing about $900,000 in stock and bonds to 59 assemblymen, 13 senators, and the governor. Two years later the railroad was bankrupt and the bonds were worthless. The "Tapeworm Railroad" was a state-subsidized project in Pennsylvania, sponsored by Thaddeus Stevens when he was a state legislator. According to a government inquiry, the road "literally commences in the woods, where not a recognized track of man marks the origin of such stupendous folly," proceeds "through a wild and mountainous region ... uninhabitable by man," and terminates "in a diminutive village detached by at least 43 miles from any public work." But it happened to connect Stevens' ironworks with the Baltimore and Ohio line. When the North's railroad miles had any larger function, it often was the strangling of Southern ports. The North used public money -- federal money, when it could get it -- to build transportation systems to intercept the flow of western commodities down the Mississippi River to New Orleans, and divert it to Eastern coastal cities. Wheat and flour shipped east via the Erie Canal alone rose from the equivalent of 268,000 barrels of flour in 1835 to 1,000,000 in 1840. Shipments to New York exceeded those to New Orleans by 1838. The South was not nearly as poor and backwards as is often assumed: in 1860 it would have been fifth in the world in cotton textile production, behind Great Britain, the North, Switzerland, Belgium, and France. In per capita income, it would have tied with Switzerland for fourth place, behind Australia, the North, and Great Britain. The Southern states of 1860 would have formed the fourth-wealthiest nation in the world, with an inflation-adjusted per capita income not seen in some European nations till World War II. The per-capita-income growth of the South 1840-60 was 1.7 percent per annum -- 30 percent more rapid than the growth in the North. Modern statistical analysis of economic data for census years 1840-1860 began in the 1950s and is still ongoing. It shows that the 25 percent income gap between the regions reflects the tremendous wealth of one corner of the North, rather than the supposed poverty of the South. Only compared with the Northeast was the South (and the Midwest) "stagnant" in 1860. Compared to any other spot on the globe except England, it was a rich, thriving, diverse economy. Interestingly, much of the abolitionist critique of Southern economics, supposedly retarded by slavery, is lifted wholesale from DeBow and others who thought like him. They wrote jeremiads about Southern "backwardness" that were meant to scare readers and motivate change. They can hardly be taken as objective economic analysis, with no awareness of their source in internal Southern debates about economic policy. DeBow was banging that drum so hard and long to awaken the South to the hegemonistic designs of powerful forces in the North that were slowly reducing the South to the position of an economic vassal, via federal policies that gave an economic edge to the North. The South is damned for trying to develop or maintain a culture of personal honor that often led to violence. It reminds me of the "Iliad." But what's bad about an ethic that puts some stock in honor? Those same slave-owning hotheads in the "Iliad" in a few generations developed into the people who invented theater, physics, and democracy. It seems to me something good can be done along the lines of human accomplishment by people who strive for honor, as an ideal. It will get you farther along that line than, "what's in it fer me?" [Yankee trader]. A "what's in it fer me?" nation that can't think of anything better to do with its honor-possessed section than humiliate it and exterminate it is likely to find its collective legacy to humanity will be Supersize french fries, "Rocky I" through "Rocky V," and the Monopoly board game.